ACPS 5/6 B 2013: Explaining Everything! We have begun using the app on the iPads 'Explain Everything' as a way to work through different problems and explain how we have solved them. 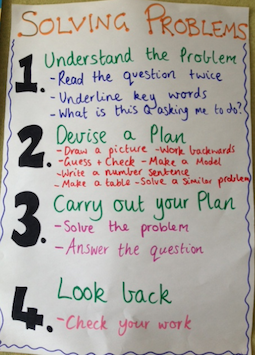 We are looking forward to making more videos to explain how we solve maths problems! What did you think we did well? Do you think we explained these problems well or do we need more practise? What problem solving strategies do you use when solving word problems? I love your explanations of Maths problems. You did a fantastic job. I think solving problems are made easier when you have the chance to talk about them and take it step-by-step. I have just downloaded the app 'Explain Everything' for my own iPad (thanks to the recommendations of Miss Spink) and I am really looking forward to using it. Thanks for showing me one example of ways to use it in my classroom. Good luck for NAPLAN Grade 5s! You will do great - I can tell by the way you have explained your maths problems! We liked your video and how you fixed your mistake Campbell. We have windows 8 tablets in our class. We have done sort of the same as you did. We used our tablets to make a video about how to solve division problems. It helped us a lot with our learning. I think that the way that they have explained their NAPLAN question is really good. I think that you haddone really well ni explaining and ythe way that you are bracking up the question to tell us how you worked it out. I think that the explaining that you had done was really good to make us understand but also you. I use check and guess.